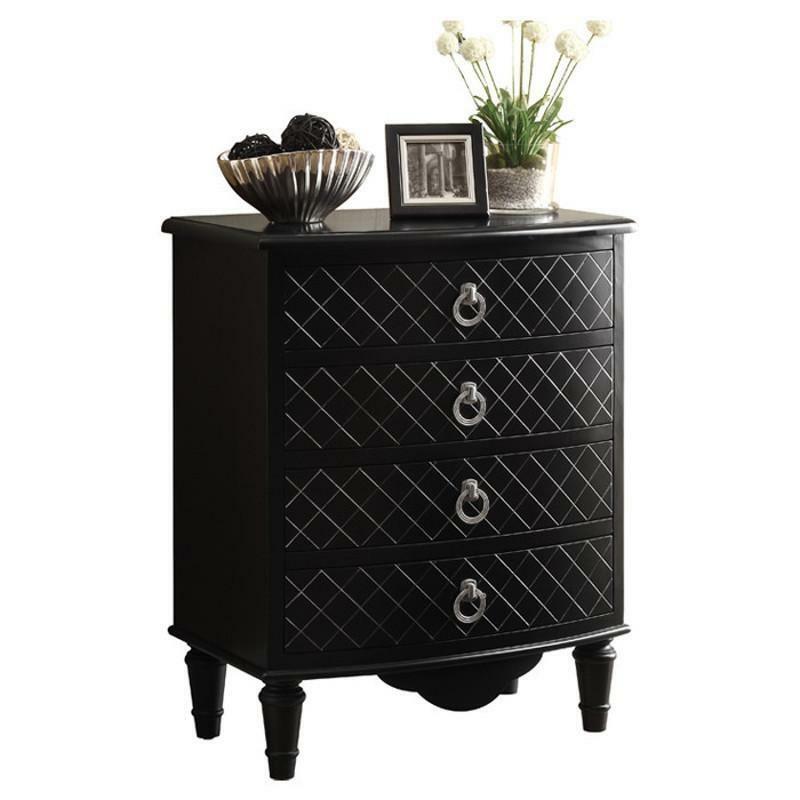 This Monarch Bombay Chest features four intricately detailed, convenient drawers, which are ideal for storing clothes, books, blankets, kitchen accessories and plenty more. It has ample surface space for you to display pictures and decorative items and can be placed in your hallway, bedroom, living or dining room! 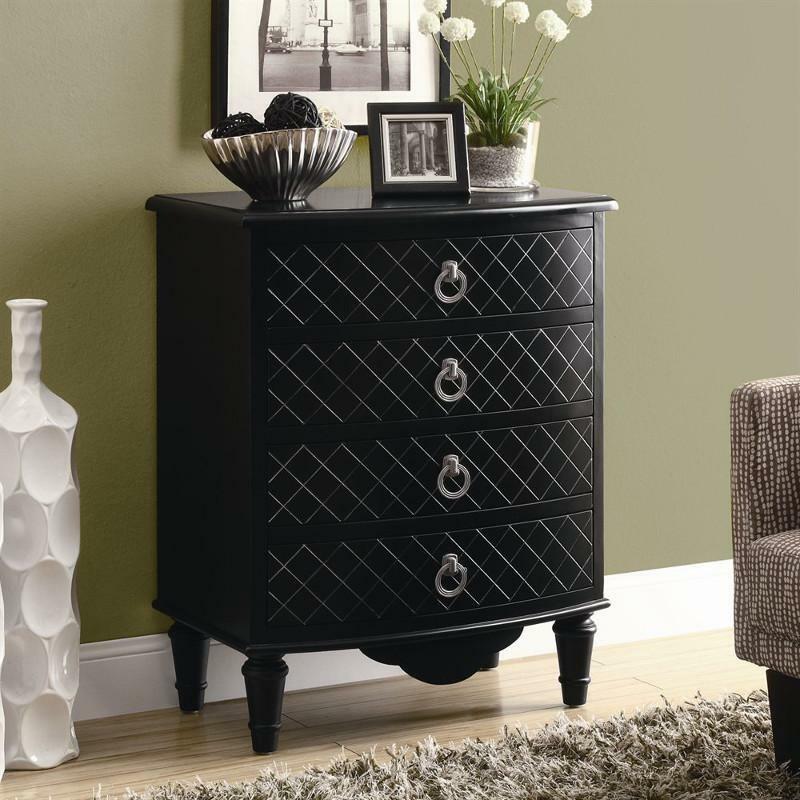 Finished in an elegant black and diamond pattern veneer, this piece is sure to bring uniqueness to your décor.